Cure your craving for a sweet treat without busting your diet with these Blackberry Ginger Baked Donuts. Made extra light and fluffy thanks to Canada Dry TEN. Topped with Blackberry Ginger Greek Yogurt Glaze that is bright and flavorful. These baked donuts are so enticing that you will forget that they are lightened up. Yeah, I’m never going to be one of those super disciplined dieters that eliminates everything but protein and veggies from my diet. You will also never find me in an exercise boot camp. I eat a balanced diet with a wide variety of foods. And I think if you want a donut . . . Eat A Donut! Sheesh! Now what is really important is how often you eat a donut and what type of donut you are eating. 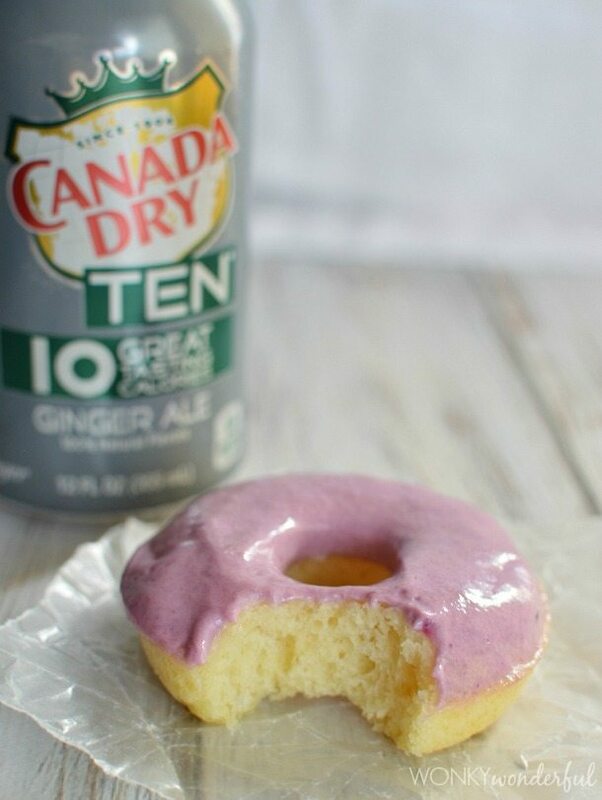 Like donuts made with Greek yogurt glaze and Canada Dry TEN in the batter! 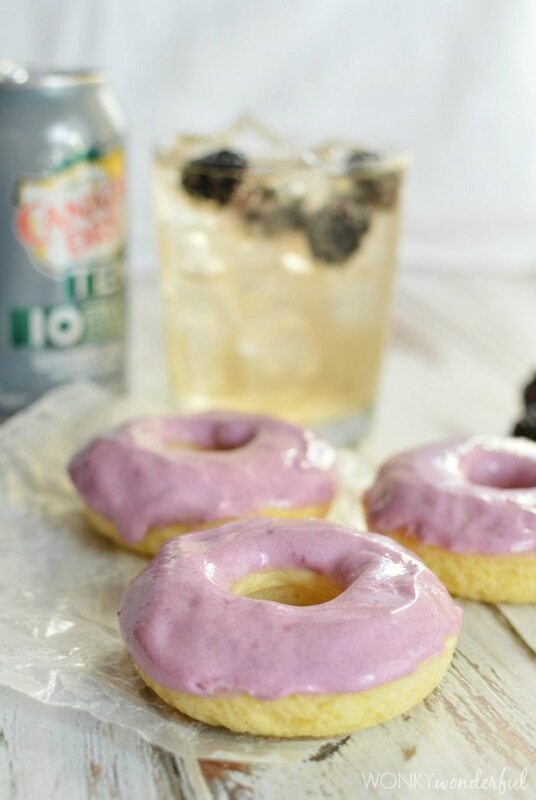 Enjoy these Blackberry Ginger Baked Donuts without the guilt. Bathing suit season is just around the corner . . . ahhhhhhhh! Are you ready? I’m not. It is time to swap the heavier comfort food for lightened up figure friendly foods. The Four Ten Calorie DPSG products help you do that. Swap out regular soda for one of the Four TEN flavors: 7UP, Sunkist, A&W or Canada Dry. In fact, any of those flavors would be fantastic in a baked donut. 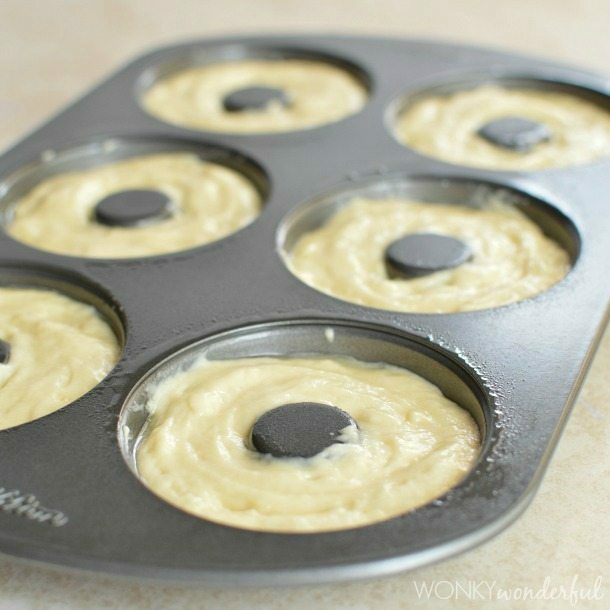 Adding the fizzy drinks to the donut batter makes them extra light and airy! 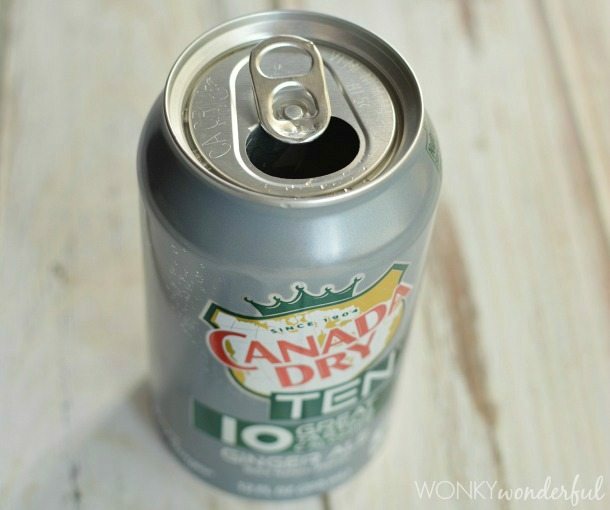 I’m a HUGE fan of the Canada Dry TEN! These Four Ten Calorie DPSG products are full flavored. So even though they have less calories, they still taste great! I’m going to make another trip to Walmart to get some more Canada Dry TEN! Coupons for the Four TEN Calorie DPSG products will soon be available on the Walmart website! I’m a busy gal. I’m usually working on my computer, wrangling 3 little kiddos, preparing meals, cleaning house, running errands and the list goes on. So I have to sneak a workout into my daily routine as much as possible. One thing about being a food blogger . . . I do a lot of grocery shopping. There are a few tricks that I use to burn extra calories during my trips to the grocery store. 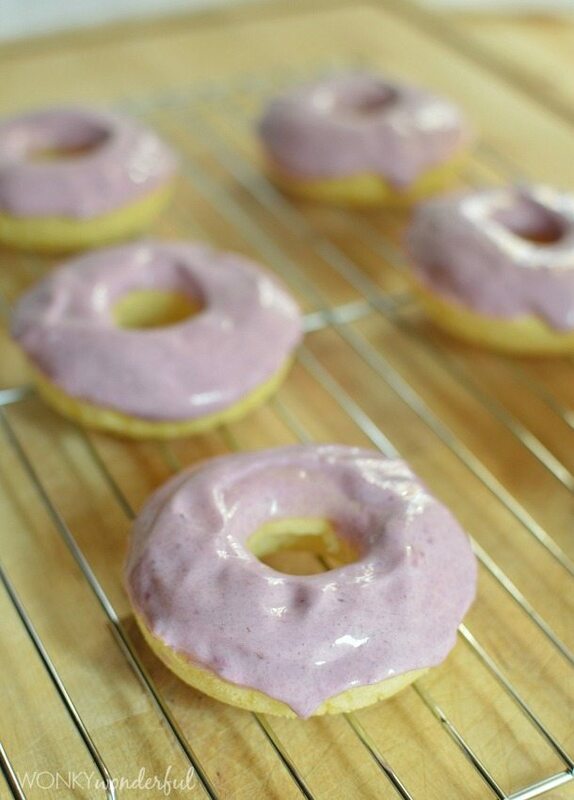 Try these light Blackberry Ginger Baked Donuts for a healthier alternative to fried doughnuts. The Greek yogurt glaze is unbelievable. If you prefer a traditional glaze, I have included that recipe too. Enjoy! Using a hand mixer, mix the sugar and butter together. Mix in the Canada Dry TEN and continue mixing until fully incorporated. Slowly add the dry ingredients while mixing. Mix until batter is smooth and free of lumps. Spoon batter into greased donut pan. Bake at 325° for 12 minutes or until donuts spring back to the touch. Using the back of a spoon, push the blackberries through a fine mesh strainer. Discard the seeds and pulp. Mix together the Greek yogurt, powdered sugar, blackberry juice and ground ginger. Dip the donuts into the glaze. Not a fan of Greek yogurt? 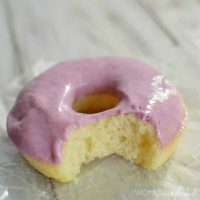 Regular Donut Glaze: Mix 4 Tb Powdered Sugar, 1 Tb Blackberry Juice and 1/8 tsp Ground Ginger. Dip donuts into glaze. Oh my, your donut looks delicious! 🙂 Linked to your site from another blog, glad I did. You have some really nice recipes and great pictures! Wow, soda in the donuts?! So creative! these look like a great flavor!